That spot over the stove is prime real estate in the kitchen these days. 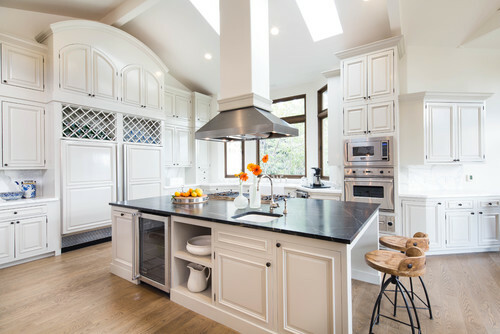 Lately that space is being reserved for a decorative hood, which is becoming the centerpiece of the kitchen. 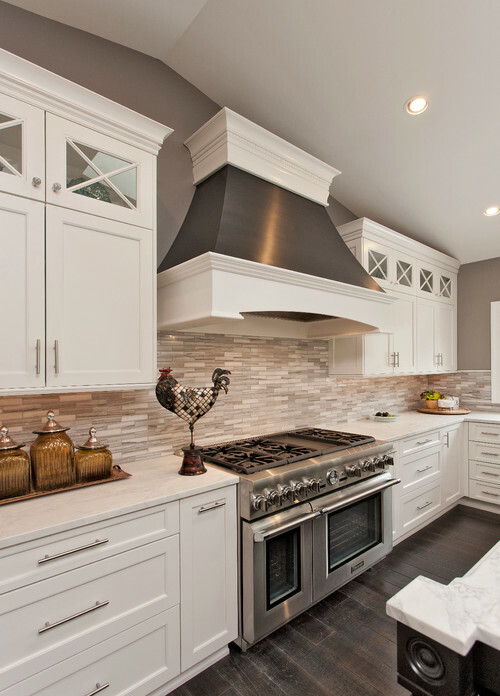 Stainless steel hoods have been all the rage in recent years. 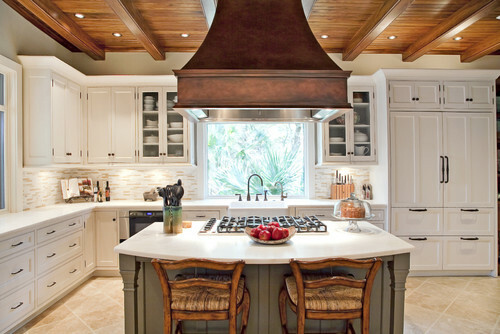 But brass hoods and decorative wood ones with detailing are also proving to be popular choices. 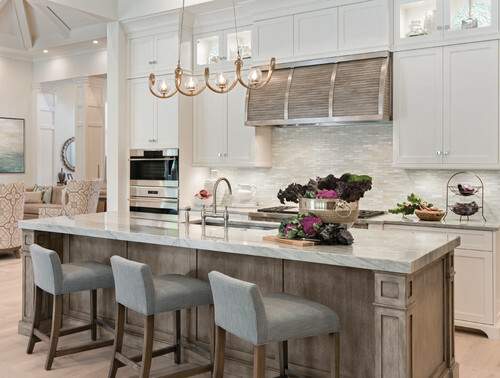 Check out some of these hood styles incorporated into kitchens from designers posting their work at Houzz. 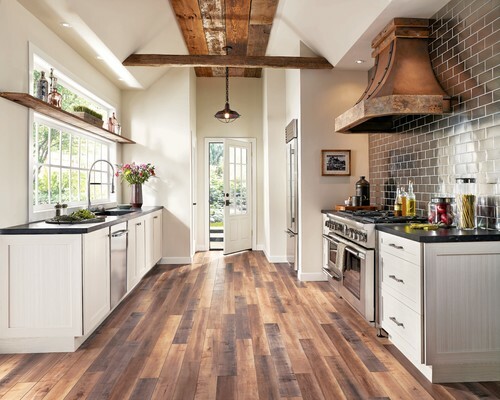 Incorporating decorative hoods into the kitchen not only enhances its appearance, but also serves as a great tool to keep it clean and free from gaseous forms of dirt.